Outside the Beltway, people are beginning to stir and change is in the air. Will 2014 feature more of the same Washington gridlock, austerity, partisan posturing and just plain stupidity that made 2013 so miserable? The dysfunction got so bad that the media celebrated Congress merely for agreeing on a budget , one that will damage the economy but not as much as last year. That Congress could pass something, anything, made it seem like carping to note that legislators cruelly cut off emergency jobless benefits for workers unable to find work and stupidly killed the wind energy production tax credit, essential to that vital industry. But the widespread predictions that 2014 will witness only more of the same ignore the growing reality that, outside the Beltway, people are beginning to stir and change is in the air. 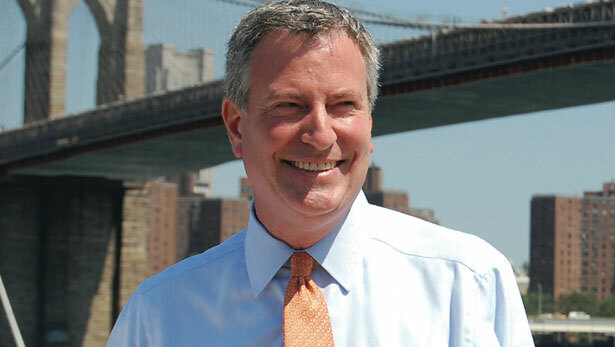 One celebrated indicator was the stunning election of Bill de Blasio as mayor of New York City. Voters overwhelmingly endorsed the sole candidate with the guts to challenge the city’s Gilded Age inequality and to call for taxing the wealthy to pay for preschool for all children. De Blasio’s victory was special, but it wasn’t unique. Voters in Los Angeles, Boston, Seattle and Minneapolis also elected progressives promising change.